You MUST complete a Health History Form online and a Release Form to attend Camp. We run Monday to Friday 8 a.m. to 5:30 p.m. Each week has a special theme listed below. 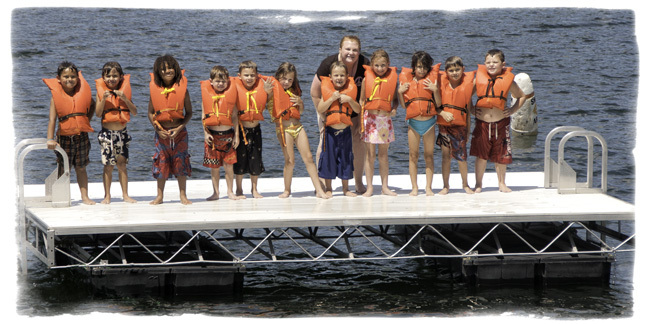 Camp Scully's Day Camp is the only American Camp Association accredited Day Camp in the Capital Region. It provides a safe environment in which to enjoy a high quality camp experience for your child aged 5 to 11. We offer a wide range of activities outside in our forest and on our lake. Activities are tailored to the age of the children and supervised by quality counselors chosen from across the United States and around the world as excellent role-models. Safety is our top priority at Camp Scully. Quality supervision with amazing memories costs $220 per week including lunch. Register and pay by February 28th and is costs $200. 7:15am - 9:00am: Day campers will register/sign-in at the Day Camp Center keeping occupied with games, crafts, and other small activities. 11:15am - 12:00pm: Day Campers will eat lunch provided by camp in the dining hall with their day camp group and counselors. 12:45pm -1:45pm: Day campers will be on “rest hour” also known as “Siesta” located in their cabin. They will also visit the Snack Shack during this time. 1:50pm-2:50pm: Day campers will swim with their day camp group and counselors. 3:00pm-3:15pm: Day campers will eat snack provided by camp with group and counselors. 3:25pm-4:25pm: Day campers will participate in a one-hour scheduled activity period with day camp group and counselors. Cooking, Sports, Arts & Crafts etc. 4:35pm-6:00pm: Day campers will gather near the Day Camp Center to play games and do other small-scale activities while waiting for parent/guardian to pick them up. A New York State licensed Registered Nurse (RN) is on duty 24/7 at Camp Scully. The nurse takes care of all medications and bumps and bruises. Rest assured, if anything happens to your child they will receive prompt and expert professional care and you will be contacted. You will need a completed Health History Form.